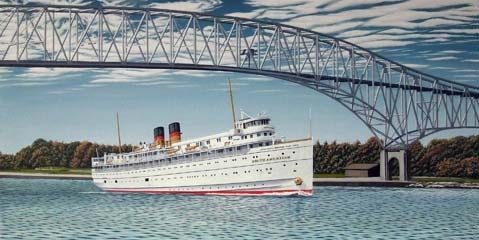 The North & South American were passengers ships that cruised the Great Lakes for decades. The South American was launched in 1914 and sailed until 1967. 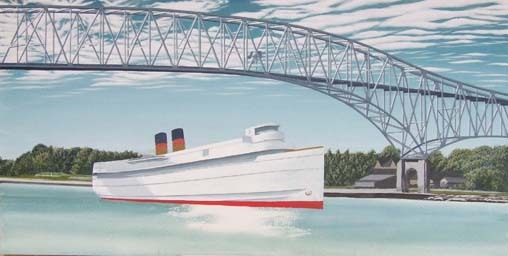 The view is of the Bluewater Bridge with the Thomas Edison Depot at the base of the bridge as it was in the 1960's. A piece of history that will bring back memories for many.